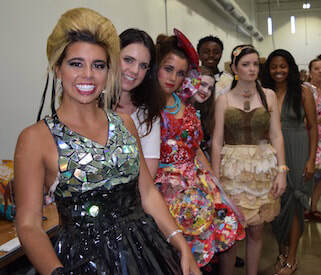 This past June Briarcrest students walked the runway in Curb Couture fashions. 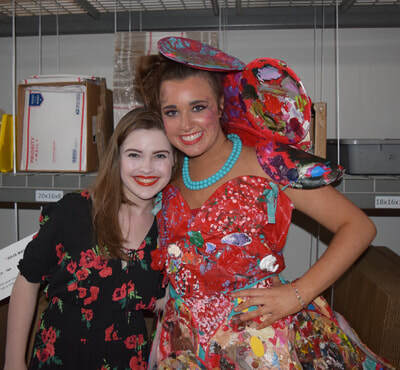 Aaron Jones wore a telephone book jacket, Karson Mount wore her dress made of tea and tea bags, Maddie Griffin wore a DVD tape/garbage bag dress made by Caroline Harris and Maison Conelly, and Emily Ragsdale wore a dress of styrofoam plates used as classroom paint palettes. 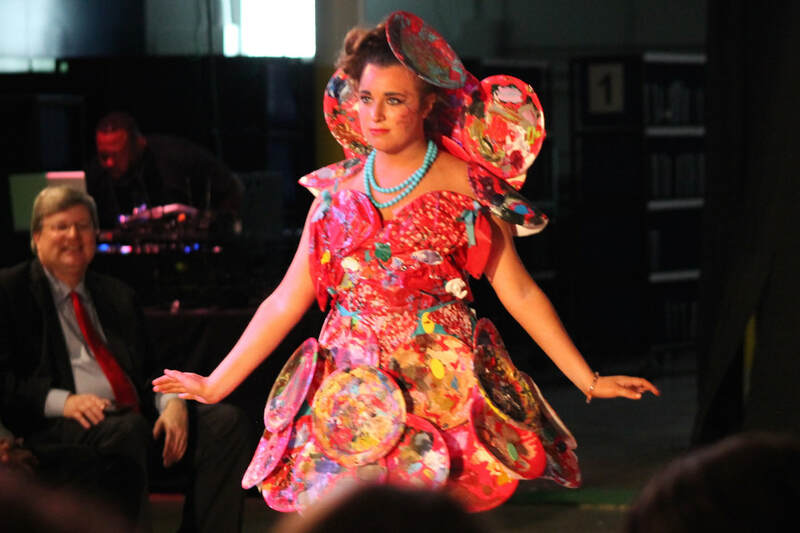 Alumna Maggie Russell returns to BCS as our current featured artist. 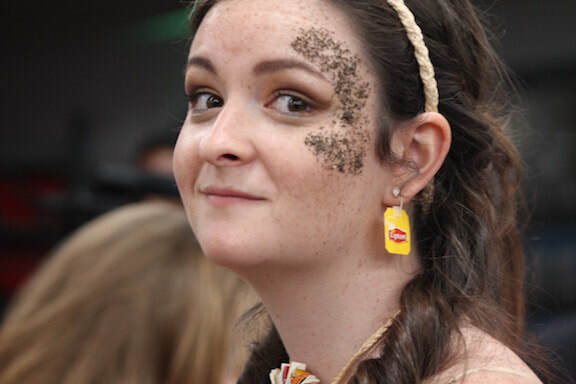 Maggie has a BA in Fine Art from Hendrix College and an MFA in Studio Art from Memphis College of Art. Her work has shown in Philadelphia PA, Poughkeepsie NY, Oxford MS, Little Rock AR, and Memphis TN. Her unique style brings a fresh perspective to portraiture. 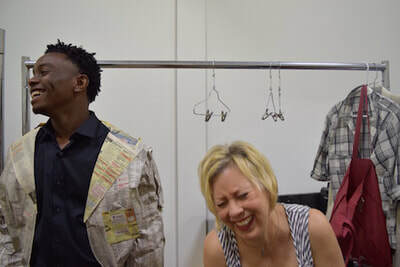 Stop by the gallery now through April 14th to enjoy this fun display. ​Maggie's work is also available in her etsy shop. Tomorrow is Great Works Of The Heart! Congratulations to all!! A special congratulations also goes out to Allison Szulewski for being awarded a full scholarship to Govenrnor's School for the Arts! ​This February 15th art people adventured to New Orleans. We traveled by passenger train, bus, horse drawn carriage, trolley car, taxi, and frequently, OUR FEET. The New Orleans Museum of Art was the site of great learning for teacher and student. Each of the students described, analyzed and interpreted art of the past and today. It was such a powerful time that when I turned around people were following the students, listening to them speaks as with authority. On the final day, after days of Café Dumont, Mother’s, Huck Finn’s, Washington Avenue Dinner and Bubba Gump Shrimp, we ended up at Newcomb Gallery at Tulane University to see Kate Clark anamorphic art. As we listened to the gallery manager speak to us, the artist walked in! I could not speak. I was so grateful for the brilliant students who were able to pick up the discussion of the art. 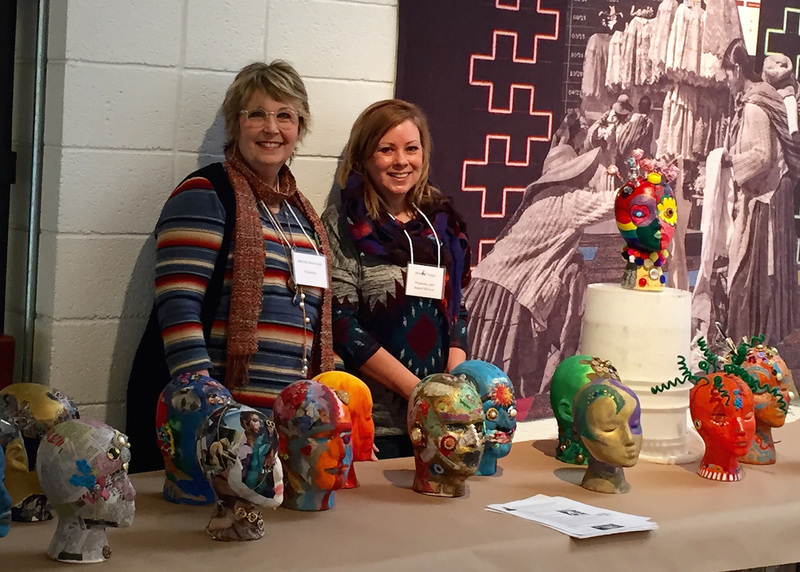 Briarcrest Middle School Art Teacher, Melody Weintraub and High School Art Teacher, Jenna Fergus recently returned from the Tennessee Art Education Association Fall Conference at Arrowmont School of Arts and Crafts in Gatlinburg. This conference serves as professional development for art educators from across the state through hands-on workshops and lectures. Mrs. Fergus led a lecture session on CRIT (Create Really Important Thinking) a process she has developed for facilitating the teaching of creativity, critical-thinking and communication. Mrs. Weintraub led a hands-on workshop, “Teaching Art with a Styrofoam Head” where participants decorated Styrofoam heads in paint, collage and found objects. Mrs. Weintraub demonstrated how these heads could be used to introduce topics, illustrate concepts and advocate for the arts. This year both Mrs. Fergus and Mrs. Weintraub were recognized by the state organization. Mrs. Fergus was awarded TAEA Secondary Art Educator of the Year at an awards dinner on Friday night. Mrs. Weintraub (2013-2014 TAEA Middle School Art Educator of the Year) was elected to serve on the TAEA Board as the West Tennessee Regional Chair. 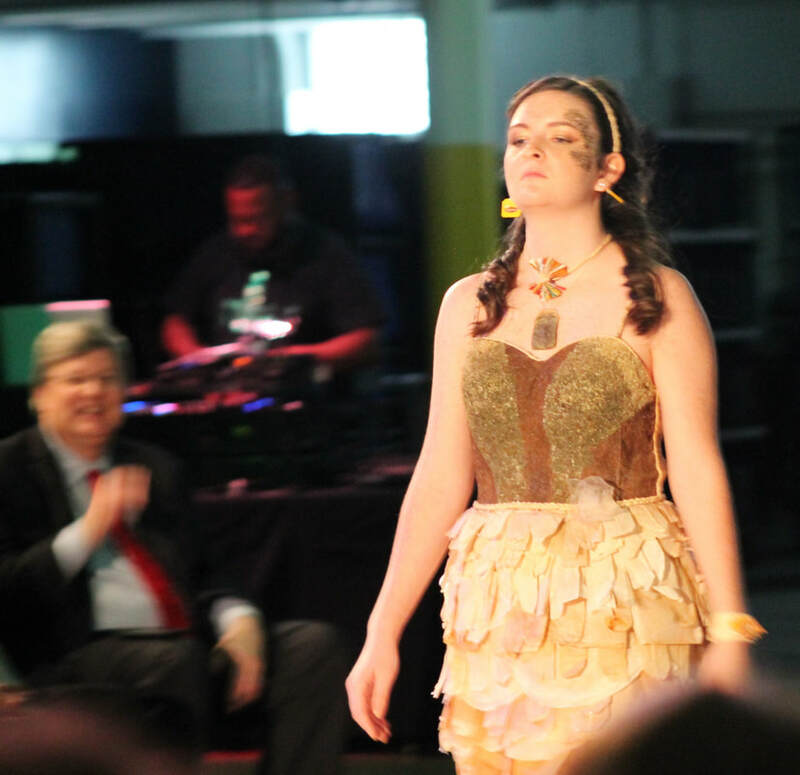 “We are grateful to Briarcrest for providing opportunities like this for us, “ said Mrs. Weintraub. “We are always so happy to share with others how Briarcrest values the arts and supports our service in the community. “ Congratulations to both of these Briarcrest teachers for representing our school. 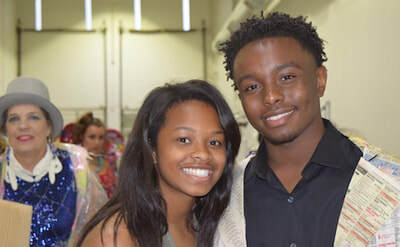 The winning pieces of Bailee Ross and Austin McElveen will s how as West Tennessee entries in the Tennessee State Exhibition and will show at the Frist Museum in Nashville, as well as showing at Belmont University for the Tennessee Arts Academy in the summer of 2016. You all make us so proud!! 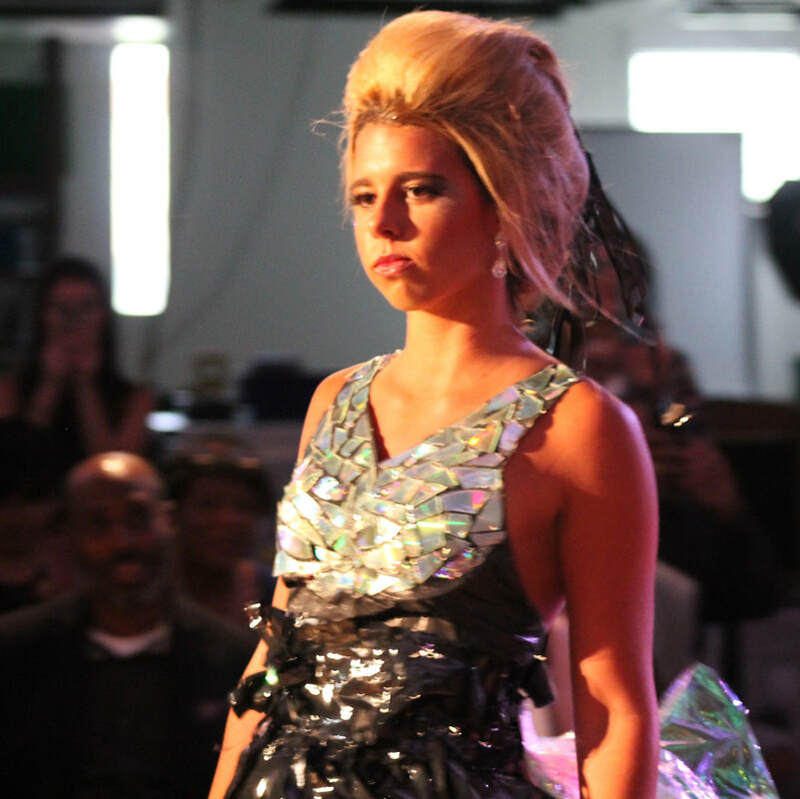 This year's contest brought in some truly amazing work! Each school was only allowed to enter two pieces from each grade, so actually, being chosen to enter makes each of the artists winners. All Saints Paint 2015 - SOLD OUT!! on your list! It is a 20X16 acrylic scene of a traditional country church in a field of poppies. Please pre-register by November 20th, 2015 here. 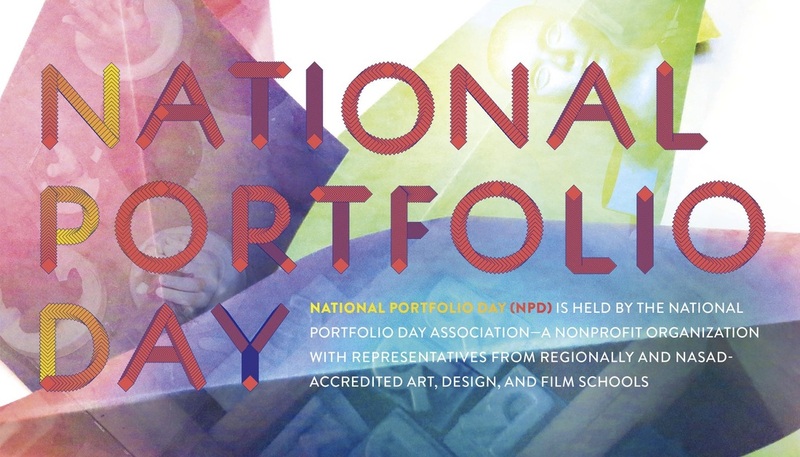 Tomorrow is National Portfolio Day being held at the Memphis College of Art. Portfolio Day is an opportunity for artist and design students to meet with representatives from a variety of colleges for one-on-one reviews of the students' portfolios. 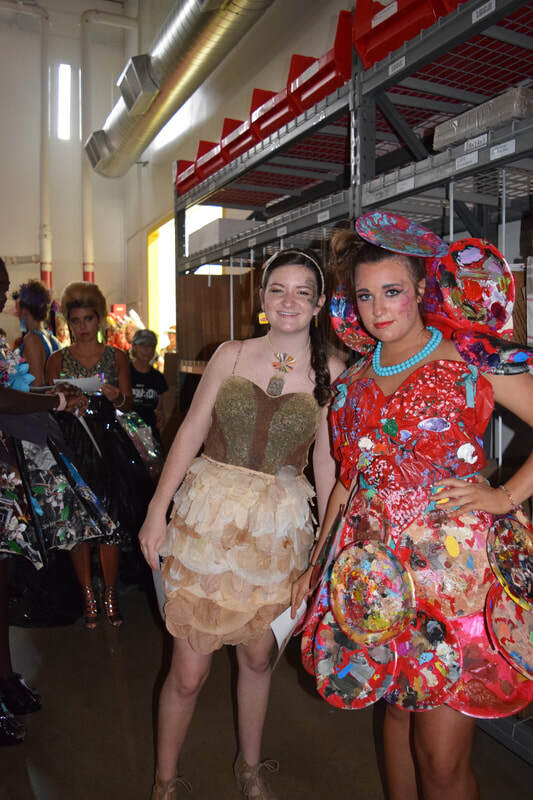 Gathering critiques, exchanging ideas, and exploring an assortment of college art programs in one location, in one day, will provide students with the tools they need to prepare for their next step toward their art/design goals. Click here to see a list of participating colleges. Mrs. Fergus was recently nominated for the Tennessee Art Education Association Secondary Art Educator of the year for 2015! She will be honored on October 29-31 at the state conference in Gatlinburg, Tennessee. ​Congratulations, Mrs. Fergus. We are so proud of you!